Never out of place, the new Discovery Commercial combines genuine Land Rover capability and versatility with an effortless drive. Discovery Commercial combines outstanding comfort and refinement with durability and class-leading versatility. With convenient side and tailgate access, the impressive loadspace and underfloor stowage can accommodate a wide range of loads. Discovery Commercial offers an impressive 1,856 litre capacity with additional underfloor stowage compartments. Loading is made even easier with optional features such as the ‘hands-free’ powered gesture tailgate and powered inner tailgate. Two underfloor spaces provide storage for valuable and fragile items. Stretching the width of the vehicle, a 60 litre compartment is located behind the driver’s partition with access via the side doors. Whilst a 94 litre space with a self-supporting hinged lid is accessible from the tailgate. The distinctive roof and feature lines rising towards the rear of the vehicle give Discovery Commercial an assertive, recognisable stance that is further enhanced by the front and rear design graphics. With its compelling modern British design, this vehicle offers true standout in the workplace. The vehicle’s durable interior is beautifully appointed and thoughtfully designed, with the broad centre console putting essential controls within easy reach. 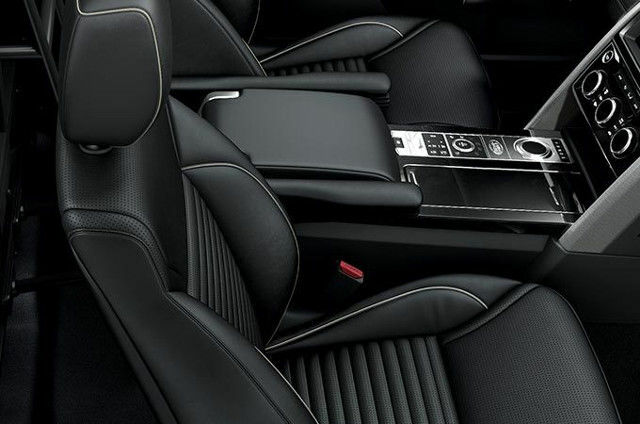 The electric multi-way leather front seats in Ebony combine luxury and comfort with the practicality of a dark colour. 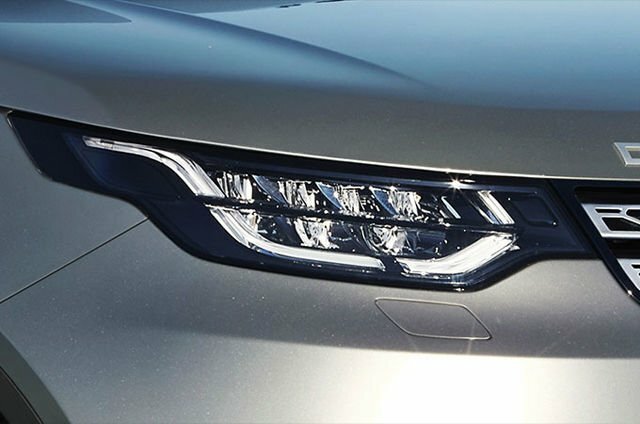 Wrapping around the vehicle’s side, front and rear, LED headlights with signature Daytime Running Lights provide a presence impossible to ignore. Display a choice of 2D and 3D crystal clear map graphics, save your favourite places and use multi-touch gestures for map exploration. The power fold, heated door mirrors feature puddle lights which project an illuminated graphic on the ground to light your way as you exit the vehicle. 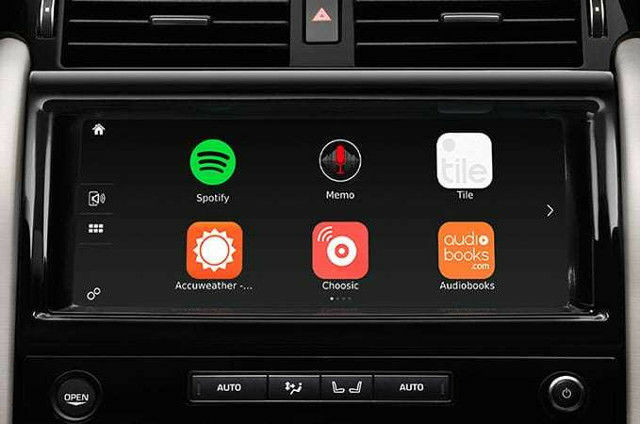 InControl Apps allows your smartphone apps to be displayed on the Touchscreen, enabling media streaming, cloud and location-based services and more. 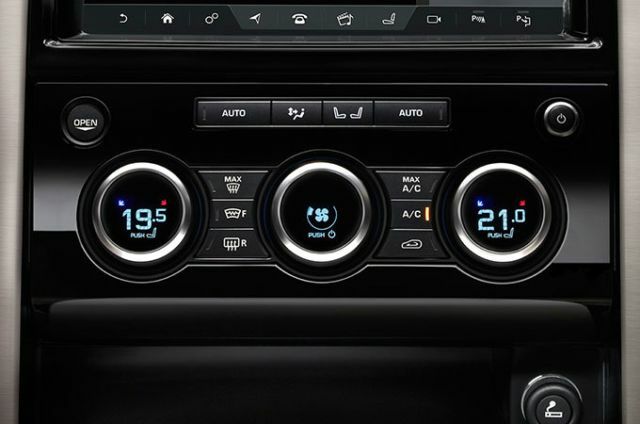 Two-zone automatic air conditioning is standard in Discovery Commercial SE. With Auto High Beam Assist, headlights automatically dip when traffic is detected, reverting when oncoming vehicles have passed. 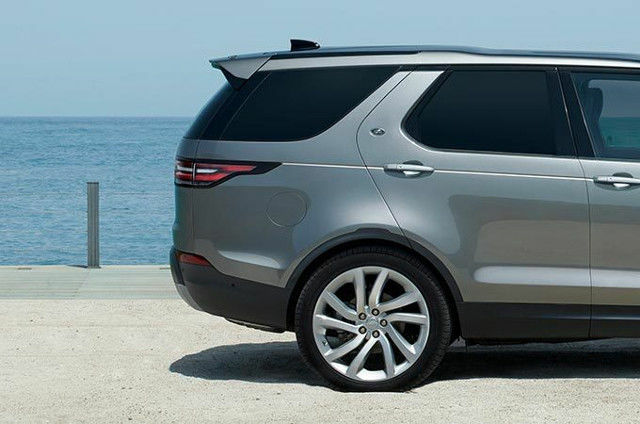 Discovery Commercial’s eye-catching design is enhanced by privacy glass fitted to the second row, rear quarter window and tailgate. 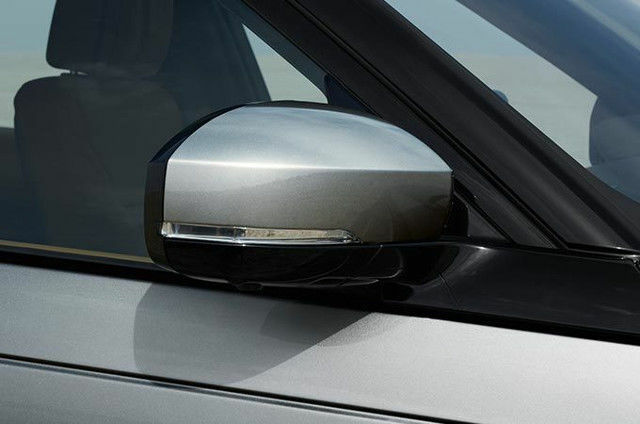 The glass reduces the ability to see into the vehicle and protects the contents from sunlight - delivering the practicality of a commercial vehicle with the design and all-round capability of Discovery. 20” 5 split-spoke ‘Style 5011’ alloy wheels. 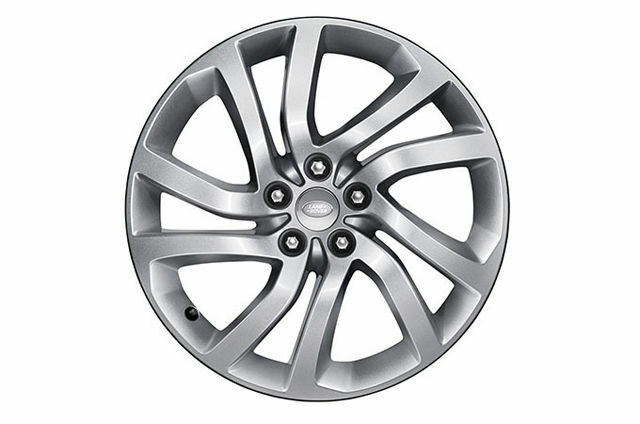 Finished in Silver, this design is stylish, contemporary and enhances your vehicle’s looks. 16-way electric memory Windsor leather seats. Store and recall up to three positions for the driver's seat, door mirror and electric steering column. 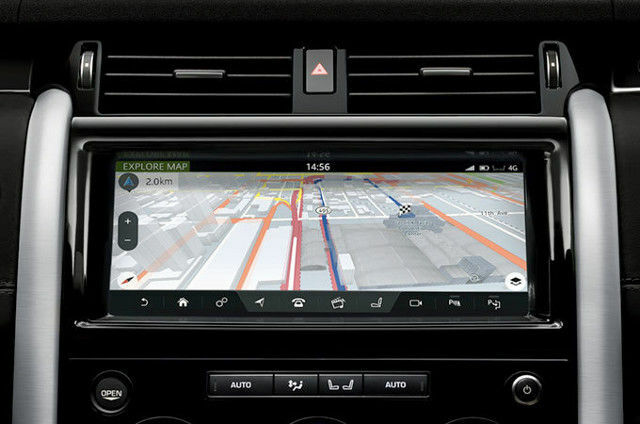 To make parking as easy as possible, static lines, representing your vehicle and predicted path, are superimposed on the centre screen’s image. 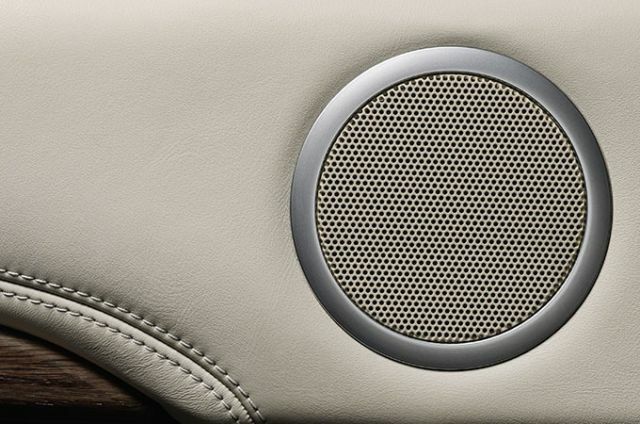 Delivering exceptional definition and crystal clear sound, the Meridian Sound System includes 10 speakers and a dual channel subwoofer. With a towing capacity of up to 3,500kg, Discovery Commercial can deal with all kinds of loads. 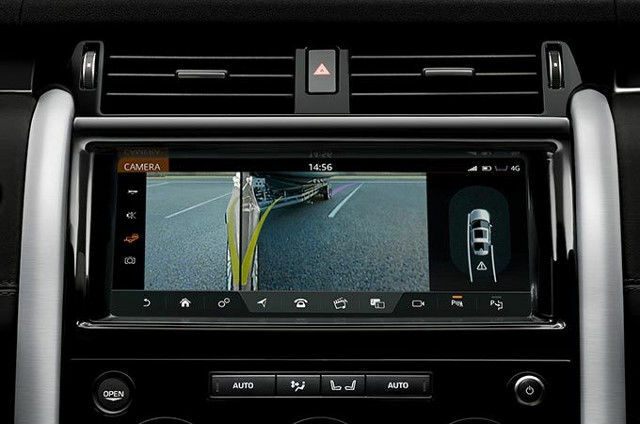 This capability is supported by a suite of optional features including Advanced Tow Assist* that enhances manoeuvrability and safety by enabling the driver to guide a trailer via the Touchscreen. 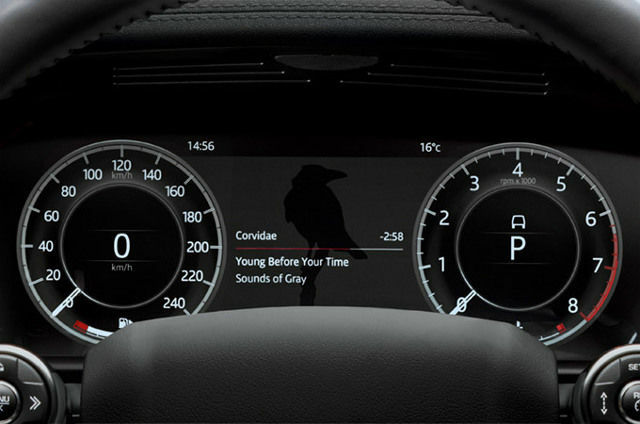 To ensure you make the very most of your vehicle, Discovery Commercial offers the latest suite of technologies including Touch Pro, Head-up Display and InControl for a truly connected driving experience. Discover the class-leading versatility and capability of Discovery Commercial. Impressive loadspace. Unrivalled towing capability for its class. 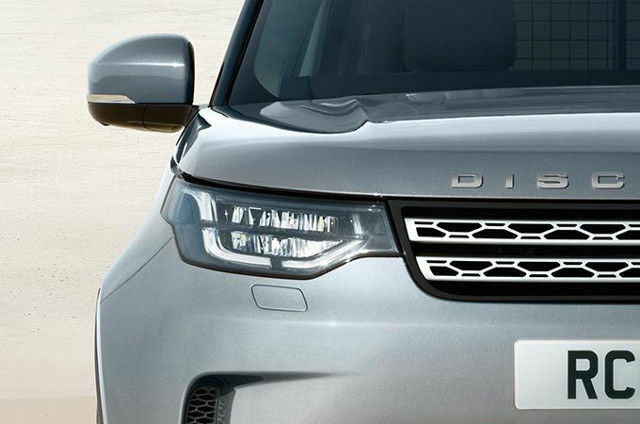 Discovery Commercial delivers a range of innovative features to enhance both its performance and convenience.